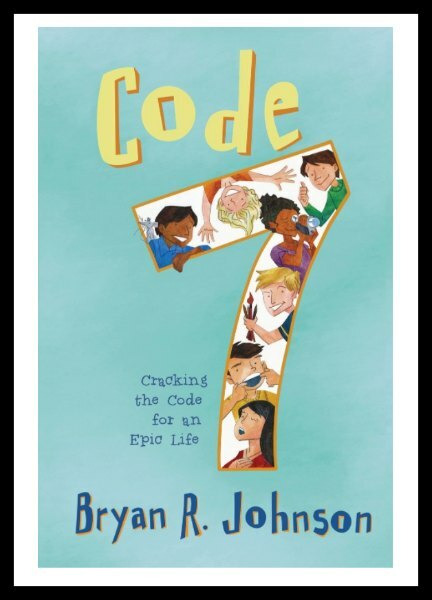 While I was sent this a copy of Code 7 Cracking the Code for an Epic Life to review I passed it over to my boys. 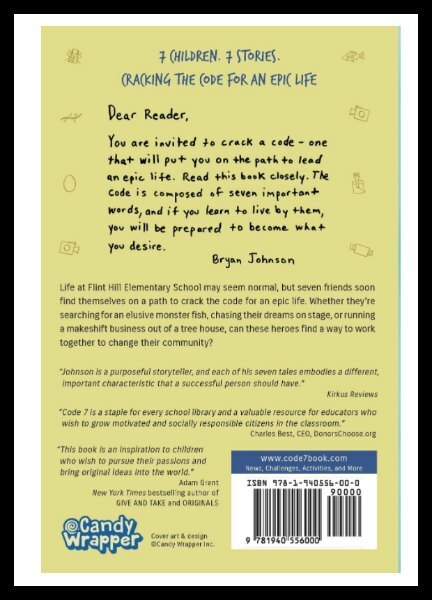 This book is for middle readers 2 – 6, ages 7-12. Here is the scoop! My son actually read this book in a day. He is 11 and entering the 6th grade. He quite simply said he liked it. When I questioned him about telling me more, he gave the recap of how it’s a book about 7 kids telling 7 stories that come together at the end. He told me that he found the book to be powerful as it taught lessons on the importance of doing the right thing, the meaning of friendship, and truly living an epic life. As a parent I love having resources such as this available for kids. I don’t think that in today’s world these lessons can be over stressed. I don’t want to give the code away, but living by this code absolutely wold lead to an epic life. I also like that it doesn’t here in the books pages. You can visit the website at http://code7book.com/ and take the Code 7 challenge, become a member and continue the conversation! No matter where Bryan R. Johnson is—in the car, at the dinner table, or around the campfire—he loves inventing stories for his children on demand. A successful entrepreneur, venture capitalist, and founder of Kernel, OS Fund and Braintree, Johnson is also a real-life adventurer. If he’s not flying airplanes, he’s exploring the ruins of ancient Rome or climbing the peaks of Mount Kilimanjaro. He also loves fist bumps over handshakes, pizza without the crust, and colorful shoes.